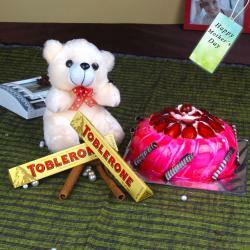 Product Consist : 6 Inch Teddy Bear, 2 Bars of Cadbury Dairy Milk Chocolates along with 1 Kg Butterscotch Cake. 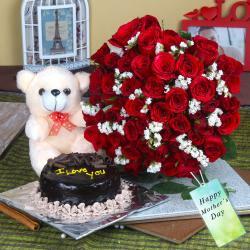 Giftacrossindia.com Mother' day cakes gifting will express your gratitude for all those times when she stood by you. In this gift set mom gets a cute love with some delicious sweet munch so send these products let her pamper herself to her heart' content, all courtesy of you. Cake and Chocolates just go together, and in this hamper mom gets plenty of both. Two different types of dessert and it' always nice to have some our favourite flavour pastry along with a sweet chocolate combination. 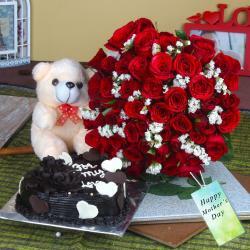 Send mother' day cakes and express your gratitude for all those times when she stood by you. When it comes to online gift delivery, we are your best bet by far. This is because we offer you a collection of the most innovative lovable gift items for special occasions. 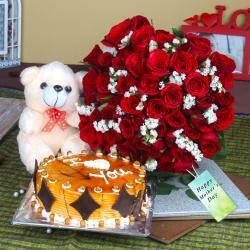 A little creativity gifting like this combo is always desired in order to make occasion doubly specially for your Mom. This is where we come into the picture. We give you a wealth of exciting options that are bound to surprise beautifully. 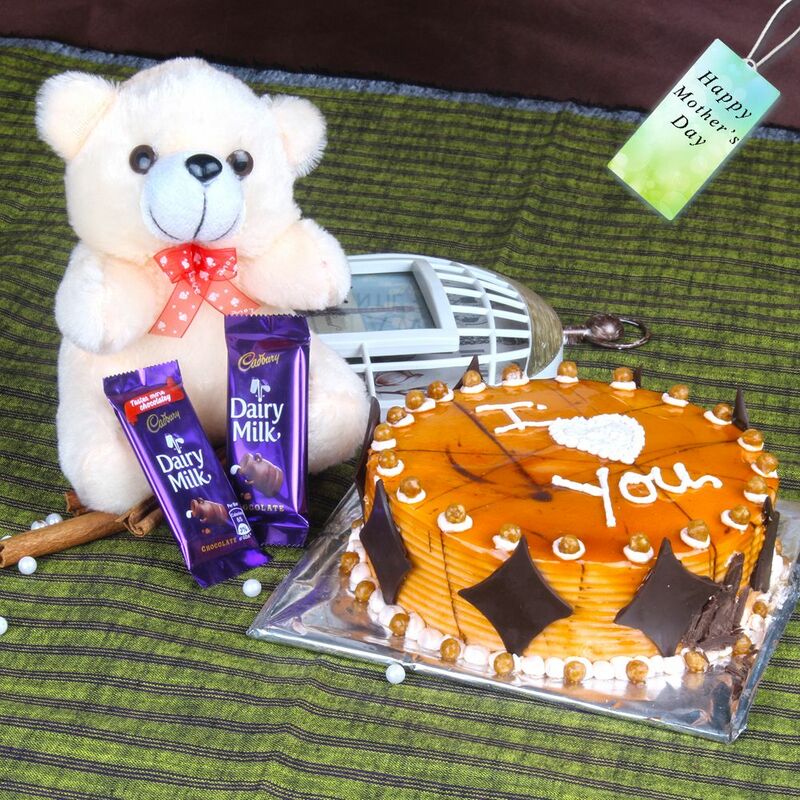 Trust us, you will never be disappointed at our online store.Product Include : 6 Inch Teddy Bear, 2 Bars of Cadbury Dairy Milk Chocolate along with 1 Kg Butterscotch Cake.